Although most bone fractures have remarkable reparative potential to heal common injuries on their own, or with well establish clinical interventions, the same is not true for large segmental defects caused by trauma or bone cancers. 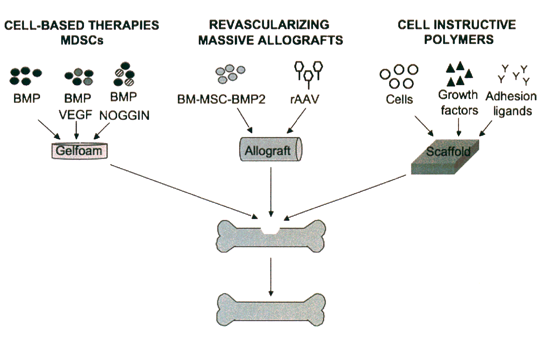 To address these major unmet clinical need, we proposed a Revitalizing Allograft solution (Nature Medicine, 2005), which was received with broad enthusiasm, and appeared on the covers of Molecular Therapy and the Journal of Orthopaedic Research. The essence of this technology is an allograft from a cadaver (i.e. femur, tibia), which remains the standard of care to bridge critical defects, and a recombinant adeno-associated virus (rAAV) surface coating that introduces angiogenic, cellular proliferation, differentiation and/or remodeling signals into the injury site to facilitate bone regeneration. 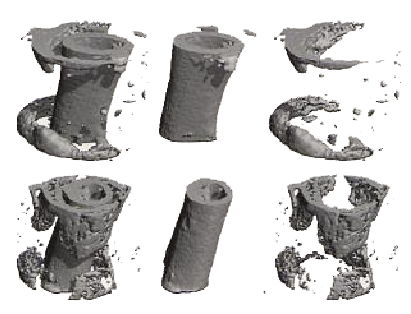 Based on the remarkable success of this technology in mice, the lab is now working towards evaluating rAAV-coated allografts in a canine femur model using clinically relevant cone beam computed tomography (CB-CT) outcome measures. Researcher: Edward M. Schwarz, Ph.D.
Pro-inflammatory cytokine signal transduction and novel drug and gene therapies for Rheumatoid Arthritis.